It seems as if every other e-mail is telling me about a new “app” available for an iphone (or related). Grumble, grumble, grumble. As the owner of an android-based phone, it frustrates me incredibly when I read all of these announcements. My first question is always, “when” will the android version become available? It also puts me in a bind as far as this blog, since I really like to report “news” that has broad utility and ideally that would be announcing the availability of a genealogy-related app for both platforms. Unfortunately, that rarely happens. That said, here is a summary of the recent news about new and mostly “ios apps” that might interest our genealogical community. 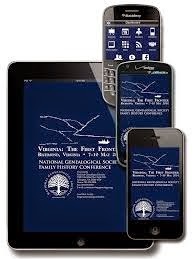 Have you recently learned about new apps (ios and/or android) connected specifically to something genealogical? If so, please share! Editor’s Notes: Past Upfront with NGS posts about “apps” to use with smartphones. 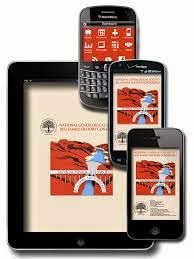 + Lists, lists and more lists -- Great apps including some Genealogy ones!